Exclusive offers, fast credit approval, and Airmiles reward miles! You wouldn’t build a new deck using leftover scrap lumber, so why put hours and hours of work into a project only to be left looking at rusted screws, bent nails, and clumsily attached corners? You might not think anyone’s looking too closely, but the details really do matter. The right outdoor hardware can make or break your project in terms of structural integrity as well as appearance. Let’s take a look at some of the most popular outdoor projects and how choosing the right decorative hardware can make all the difference. Pergolas are a little piece of heaven right in your own backyard. You get to sit outdoors in the sun and breathe in the fresh air, but you also get a bit of protection from those UV rays. 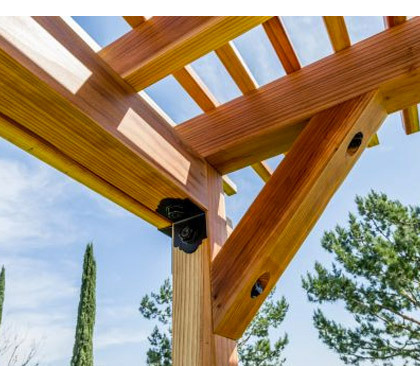 When you’re building your own backyard pergola, be sure to use Outdoor Accents® APA 90° angles to secure the beams together. They’re solid steel, flat, black, and much stronger than using angled nails or screws, so your pergola will last for years. A smart way to reduce your installation time is by using screws that don’t require you to predrill every single hole. The Outdoor Accents® Connector Screw is specifically designed for use with the APA 90° angle hardware. These screws are made from heat-treated carbon steel to make them the strongest, most durable option for your new pergola. More and more Canadians are building their own backyard swings, but they’re not always sure how to build a solid, durable swing that will stand up to a lot of daily use. Here’s a hint: whenever you have two pieces of lumber intersecting at a 90° angle, you’ll want the strength of an Outdoor Accents® APT T Strap or APL L Strap. These 12-gauge steel connectors are easy to install with Outdoor Accents® Structural Screws and Hex-Head Washers, and will give you total confidence in your new swing. These private hideaways are just right for the middle of your garden, tucked in the trees behind your home, or perched above the field at the edge of your property. 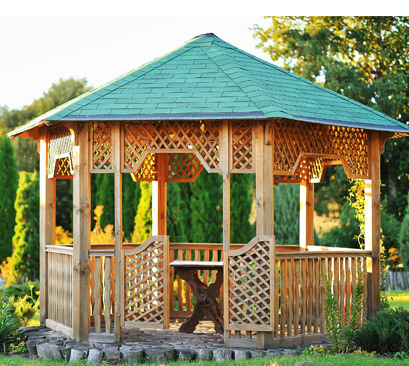 With seats, shade, and a gorgeous view, a gazebo just might be the perfect summer oasis. 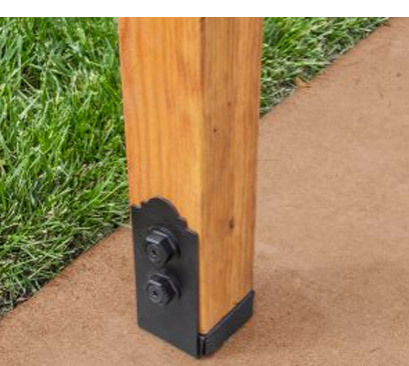 In order to make sure your gazebo can stand up to high winds – and the picky standards of your local building inspector – you’ll want to use Outdoor Accents® APB adjustable post bases. They’ll secure the posts while also keeping them 1" off the concrete to help avoid post rot caused by moisture. 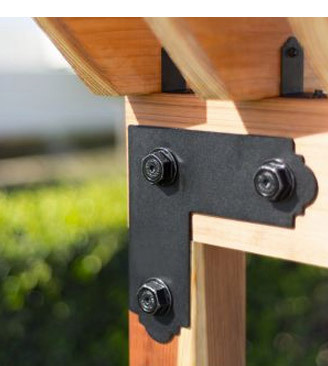 When you install them with the Outdoor Accents® Structural Wood Screws and Hex-Head Washers, you get a classic look you’ll love for years to come. A deck might be the biggest outdoor project you’ll ever tackle, and it’s critical to get it right the first time. 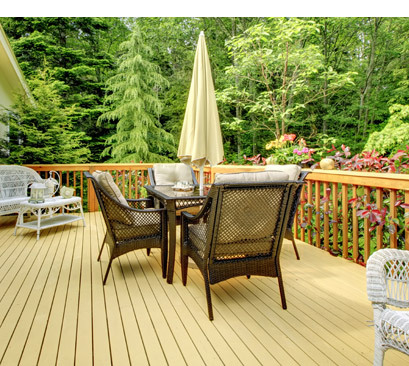 Whether your deck is high above the ground or just a few inches, you need to make sure it’s a safe, sturdy structure where you can feel comfortable hosting parties and family dinners. 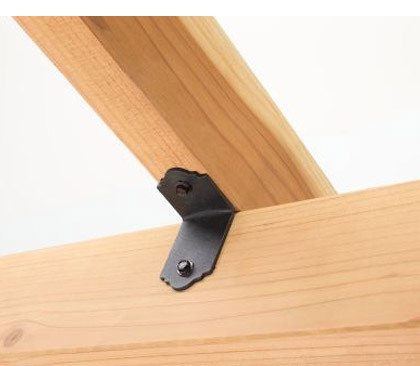 Trust the structural integrity of your deck to Outdoor Accents® APDJT Deck Joist Ties. 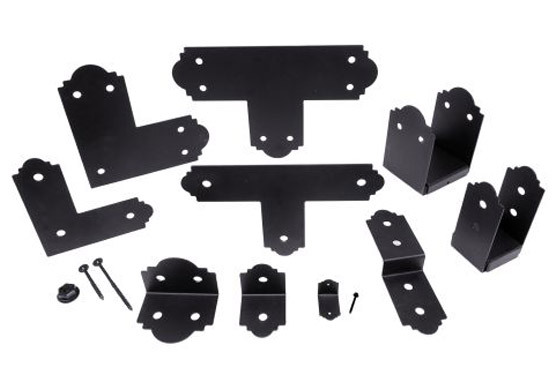 They’re constructed from solid 12-gauge steel, and they’ll firmly attach your joists to your support posts. As beautiful as a backyard DIY project may be, nothing is more important than its structural integrity. With the Outdoor Accents®collection from Simpson Strong-Tie, you get to feel confident in the construction and also enjoy the beauty of each connector. Stop by your local TIMBER MART dealer and start building!